A new Danish study underscores the benefits of eating healthy meals high in vitamin C. A reduced risk of heart disease has been linked to high concentrations of vitamin C in the blood as a result of eating fruits and vegetables. “Those with the highest intake of fruit and vegetables have a 15 percent lower risk of developing cardiovascular disease and a 20 percent lower risk of early death compared with those who very rarely eat fruit and vegetables,” Dr. Camilla Kobylecki, the department of clinical biochemistry in Herlev and Gentofte Hospital, stated in a press release. A cup of strawberries, one large orange, or a single portion of chopped broccoli every day will provide enough vitamin C for most people. The reason this vitamin is so necessary is it supports normal physiological functions, builds connective tissues within the body, and also helps with iron absorption. A potent antioxidant, vitamin C also protects the body's cells from disease-causing damage. 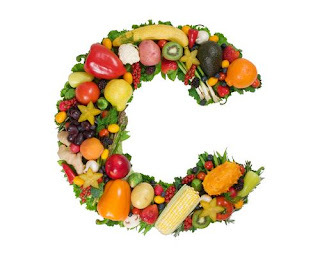 Importantly, your body does not produce or store vitamin C, so you need to eat foods rich in this essential nutrient. The good news is this vitamin is water-soluble, which means any extra C you consume simply flushes out of your body with your urine. It’s near impossible, then, to "overdose" on this vitamin, so eat away! For the current study, the researchers wanted to verify the somewhat inconsistent results of various past experiments. Some studies showed how higher than average blood levels of vitamin C from extra consumption of fruits and vegetables correlated to a lower risk of ischemic heart disease, yet other clinical trials did not make the same connection. To test this hypothesis, the current research team designed an experiment based on based on the Copenhagen General Population Study. Because Denmark centrally records each citizens diagnoses, use of prescription medicine, and demographic information — diverse information including number of siblings, earned income, food consumption, and education — the researchers had access to precision data (down to each person’s DNA code) for roughly 100,000 Danes. They focused their investigation on the records of people who had ischemic heart disease or had died from it, as well as those with a genetic tendency toward higher-than-average levels of vitamin C circulating in their blood. Pulling records and crunching numbers, the research team verified the results of past studies. High intake of fruit and vegetables linked to low risk of heart disease and early mortality by any cause. Yet, the researchers also discovered those with genetically high plasma vitamin C concentrations showed comparable results to those who simply ate lots of fruits and vegetables. This suggests any reduced risk in heart disease or mortality is most likely related to high concentrations of vitamin C in the blood. “We know that fruit and vegetables are healthy, but now our research is pinpointing more precisely why this is so,” said Dr. Borge Nordestgaard, a clinical professor at University of Copenhagen and a consultant at Herlev and Gentofte Hospital. Source: Kobylecki C, Afzal S, Smith GD, Nordestgaard BG. Genetically high plasma vitamin C, intake of fruit and vegetables, and risk of ischemic heart disease and all-cause mortality: a Mendelian randomization study. American Journal of Clinical Nutrition. 2015.